I had to write and let you know that John Gallagher of Learning Herbs is offering a f-r-e-e download and training on the topic of 'energetics'. It's the way professional herbalists know how to select the right herb for the condition and person. 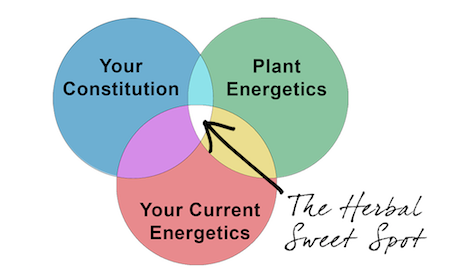 There's a 'herb sweet spot' where the three combine to offer the best chance of helping you. The little diagram below illustrates it. 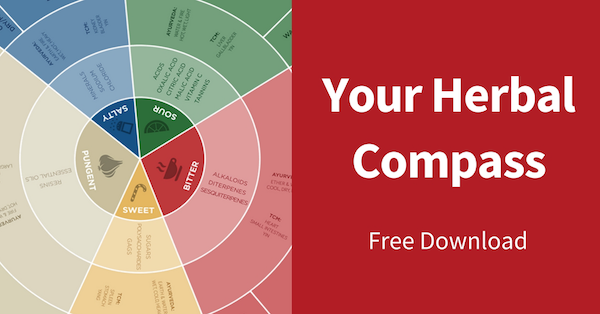 The Herbal Compass along with the accompanying worksheets and video, tells you how to approach the three part assessment. The training here, the compass, the worksheets and video are all f-r-e-e - it's fascinating information he has for you. He has joined with Rosalee de la Foret in the video to explain what 'energetics' is all about. Explaining why a herb works for one person but not for another and how better to select the right herb first time. I hope you take advantage of this offer - it's only available for about 10 days, so please have a look and decide if you think it will be of interest to you.